For your consideration Serendipity Treasures present this white gold pearl sweater clip. 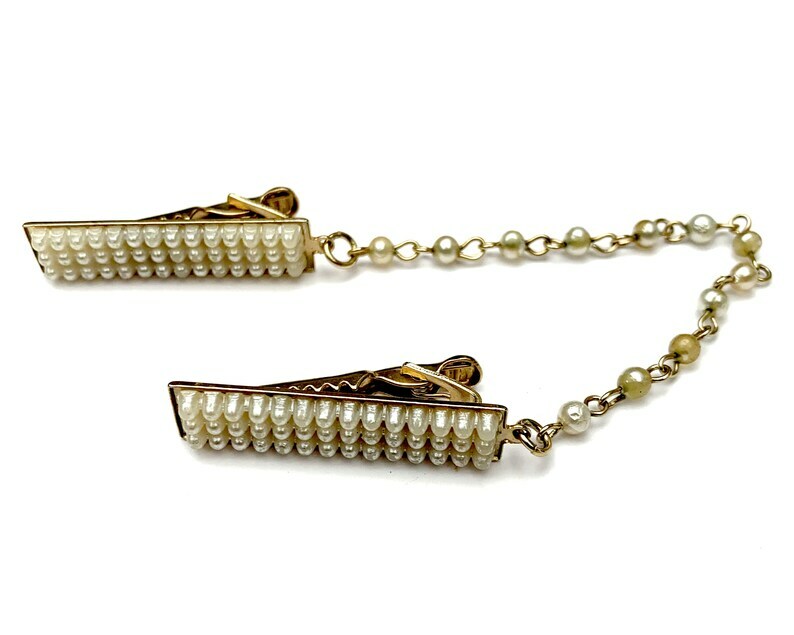 It is composed of two gold clips with small simulated white seed pearls . it is in good vintage condition. some of the pearls on chain have wear.